Dhaka Match Colony is a slum in the peripheries of South Dhaka. In many ways, it is the quintessential urban slum – inadequate housing, cramped alleys and piles of solid waste clogging its waterways. The slum, however, has recently been transforming itself. During my visit to Dhaka Match, I witnessed a sight that was beyond my imagination. Residents had filled up the small canal near the slum with household waste, a practice that has been continuing for years. Drains had overflowed and alleyways were permanently inundated. Shoes, food wrappers, medicine packets, cigarettes packs, and food compost were some of the items seen floating in the purplish sludge that covered the entire slum. For mobility, residents had two options: they either waded in the sludge or walked on flimsy boards placed between the houses and shops. Water pipes poked out of the canals of waste. In some places, the pipes were completely submerged in the sludge. Leaks can potentially contaminate the area’s water supply, presenting severe health risks to the community. An overall 23,688 tonnes of waste is produced every day in Bangladesh, amounting to 22.4 million tonnes of waste a year. Municipal solid waste is not just an issue for low-income settlements. Of the total waste produced, 70% is generated in Dhaka and only 40-60% is properly disposed. Although more than half of the waste being generated is organic, Bangladesh is still ranked 10th in the world for plastic pollution. On an individual level, an average person in Bangladesh produces 150 kg of waste a year. This is still less than half of the global average production. However, due to a lack of waste collection and disposal services, combined with poor civic awareness and responsibility, municipal solid waste management poses major social and environmental risks in urban and peri-urban Bangladesh. 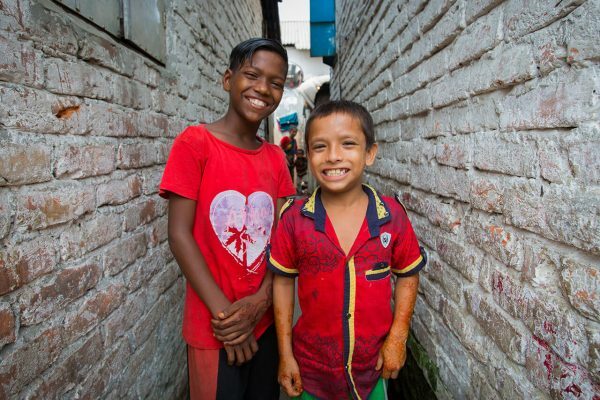 BRAC’s urban development programme is alleviating urban poverty in 20 cities and municipalities across Bangladesh. Over 300 slums identified solid waste management as one of their most pressing concerns. In response, BRAC initiated a number of interventions, starting from raising awareness through group discussions, to providing plastic waste bins, and constructing concrete structures for households to dump their waste in. 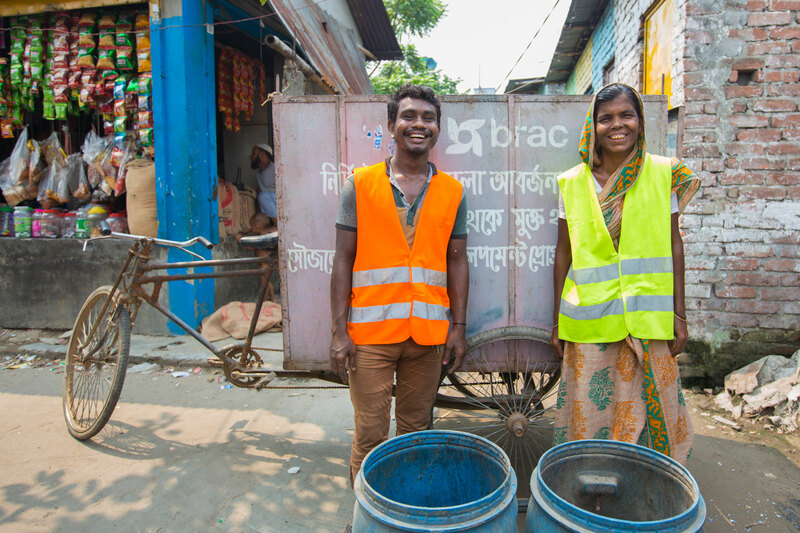 BRAC piloted its waste collection service model in Dhaka Match Colony. The most important feature was residents taking full ownership of the waste collection and disposal process. A waste management committee was put in place, and a waste collection van now plied through the alleys. In addition to conducting door-to-door awareness raising, the committee members also collected a small contribution of BDT 40 per household per month for the maintenance of the waste collection van. 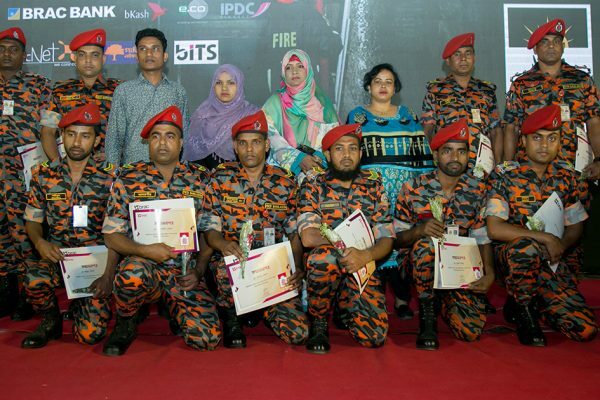 The monthly contribution provided a source of income for the van driver and his helper, who collected the waste every alternate day from over 350 homes and disposed of it in secondary municipal dumping sites. “We tell people not to throw their trash in open spaces. We teach them how to segregate their trash. 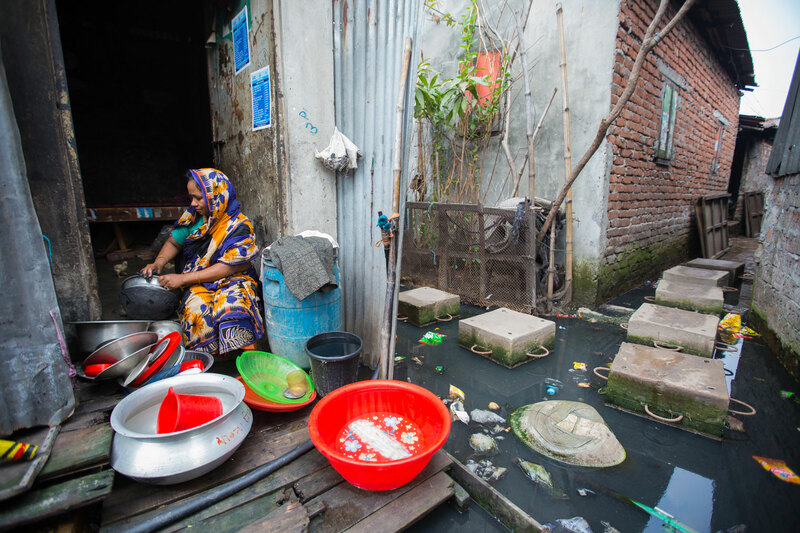 People complain about the monthly payment fee sometimes, but majority of the people want a clean neighbourhood, free of disease,” reports Sajeda, a member of the waste management committee in Dhaka Match Colony. The pilot model has been deemed a success: the colony is aware of proper waste disposal methods, they are actively using the waste collection bins and are routinely paying the waste management fee. We are now replicating the model to other urban slums, including in Savar, Dhaka, where the municipal corporation has already donated 87 waste collection vans. Three tractors will also run to transport municipal waste to tertiary landfills managed by the municipal corporation. Waste to energy conversion, especially conversion of organic waste into biogas and fertilisers is another area of focus for BRAC’s waste management strategy. Improving existing waste management processes however, is only going to scratch the surface of the problem. The ultimate transformation is going to take place at the community-level – people’s behaviour and attitudes needs to radically shift, to the extent that they actively reuse, reduce and recycle their everyday waste. Mahira Khan is a knowledge management and communications manager for BRAC Urban Development Programme. Very informative. Hope BRAC UDP carry the waste management programme in every corner.